However, you may decide that you wouldn’t like it to be so easy to pay with Apple Pay, and that you would prefer to prevent this interaction. 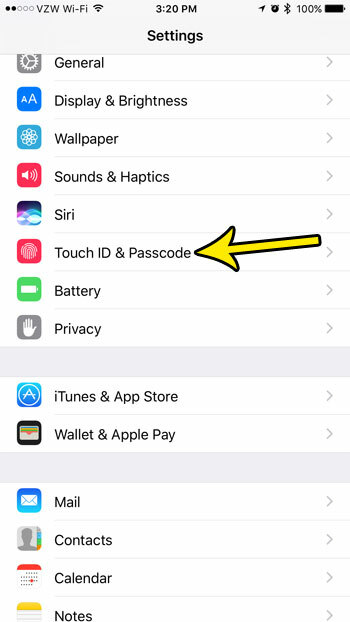 Our guide below will show you where to find the setting that permits the use of Touch ID for Apple Pay so that you can turn it off. The steps in this article were performed on an iPhone 7 Plus in iOS 10.3.2. These steps assume that you currently have Apple Pay enabled for use via Touch ID on your device. 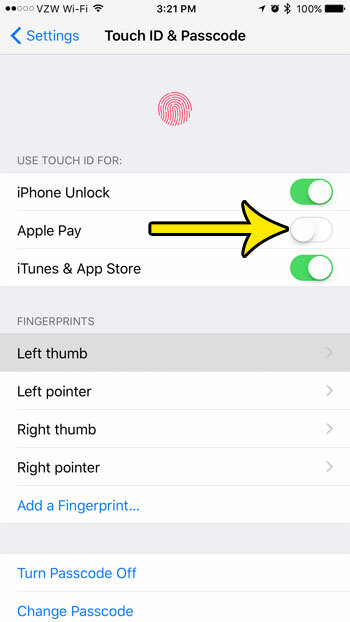 Following these steps will prevent you from being able to use Touch ID for Apple Pay. You can always return to this menu in the future if you decide that you would like to re-enable it. 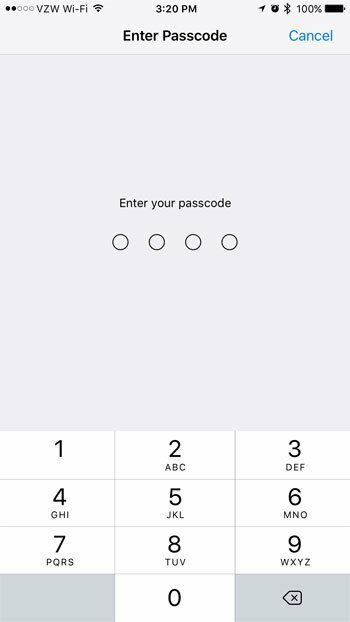 Step 2: Select the Touch ID & Passcode option. Step 3: Enter the device passcode. 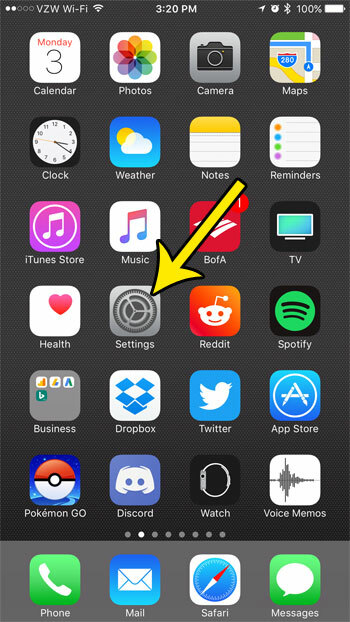 Step 4: Touch the button to the right of Apple Pay under Use Touch ID For to turn it off. There will be no green shading around the button once you have disabled it. Have you seen a friend or family member using a word, letters, or a combination of letters and numbers for their iPhone passcode? Learn how you can set up your own passcode like this and give yourself some additional passcode format options.